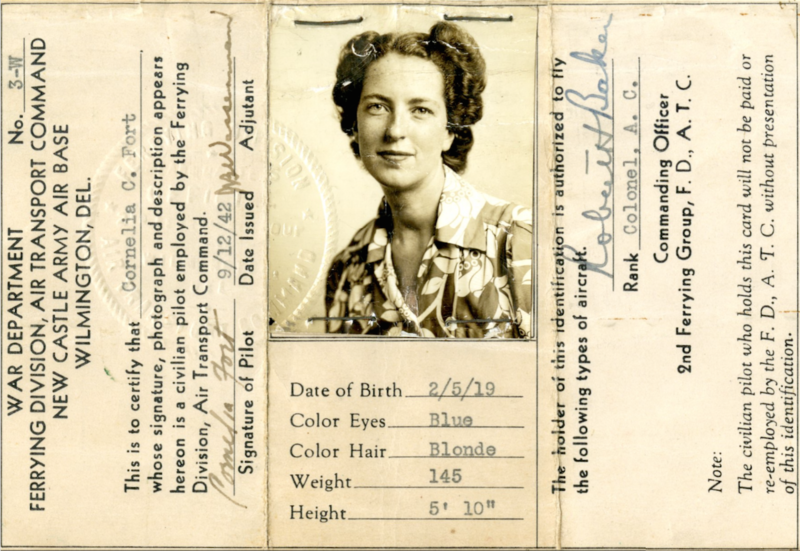 September 29: Edwards AFB. Flew the aircraft today to include a practice run on the 100 kilometer course. Jackie did a fine job at 1.2 Mach. Looks like this will be a piece of cake. Aircraft was okay. Average speed 742 miles per hour. Jackie was in the altitude chamber today with the pressure suit (CSU 4/P). Everything went fine and maximum altitude was 65,000 feet. 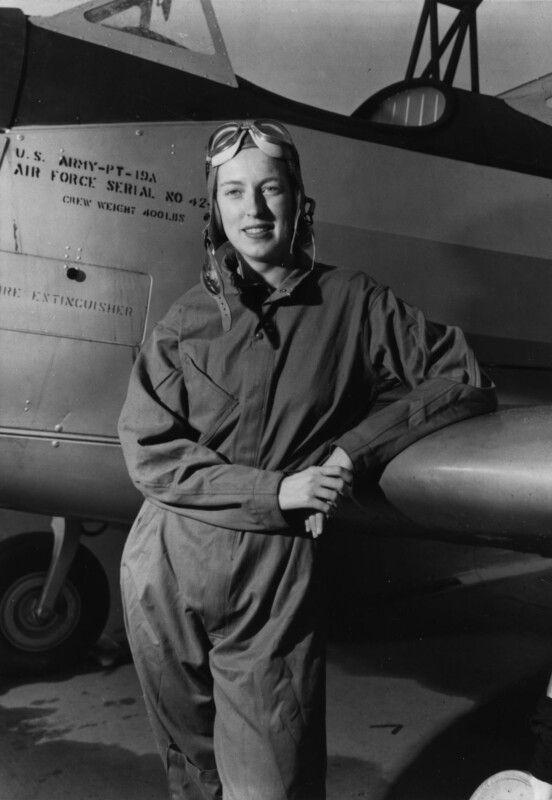 This is the first time a woman was taken up in the chamber in a pressure suit. CSU 4/P was the type of suit. October 3: Tried a run today but weather moved in from 26,000 to 37,000 feet. Very good landing. 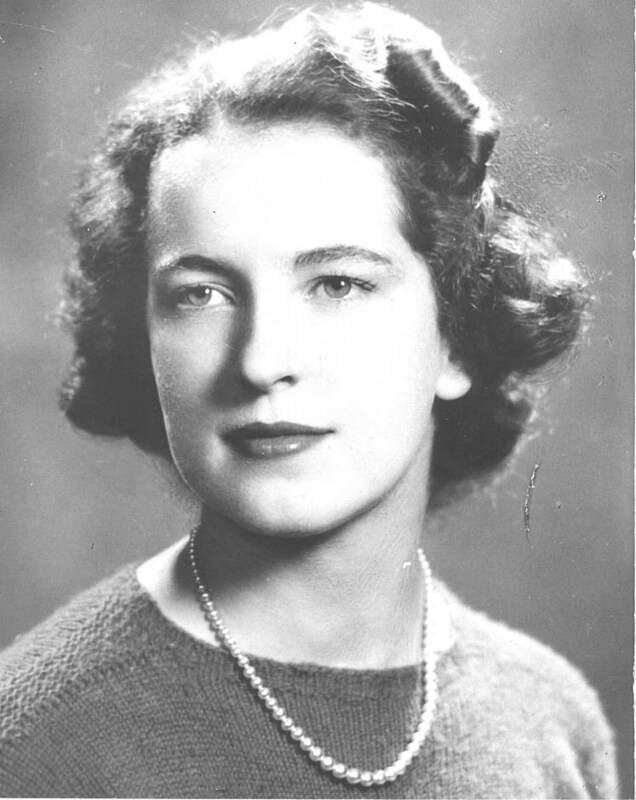 Airspeed system iced up and Jackie stalled the aircraft at 35,000 feet. Made a no-sweat recovery. October 4: Ran the 100 kilometer for record at 1 pm. The first run wasn’t too good but had an average speed of 763 mph. A pylon was cut so the run was voided. Second run was 740 mph. Very poor. Another flight was made at 5:30 pm but both runs were pretty sorry. Jackie was a little late on all of the corrections. Jackie doesn’t seem to be in too good a physical or mental state. 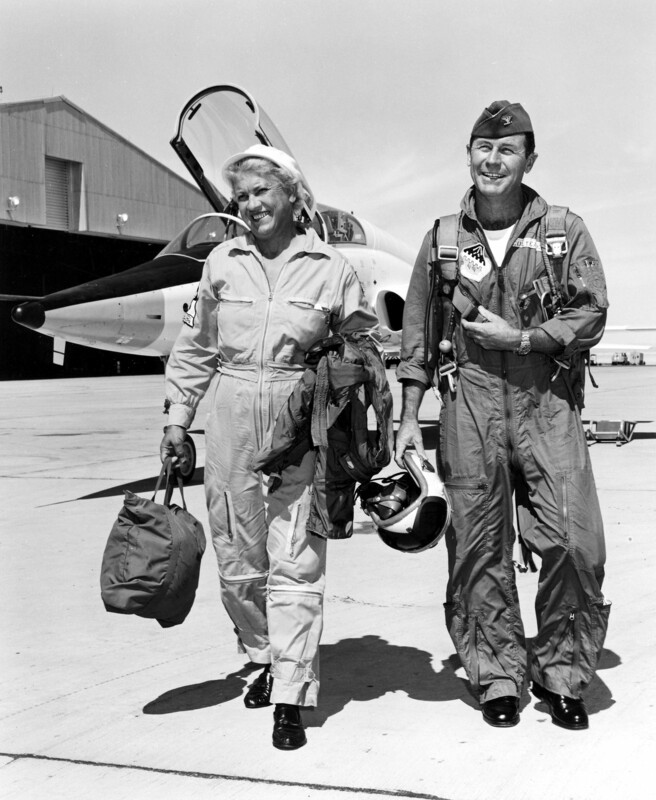 October 5: I flew in the backseat of the T-38 with Jackie on a practice run of the 100 kilometer. I talked her around the course 2 times with a little help on the stick. First run was 782 mph and second run was 787. I think I know what has been Jackie’s trouble on the 100 km. During the flight as she starts gaining a little altitude, she lets off on the back pressure on the stick to stop climbing and this causes the turn to become larger. Jackie and I spent two hours talking this over. 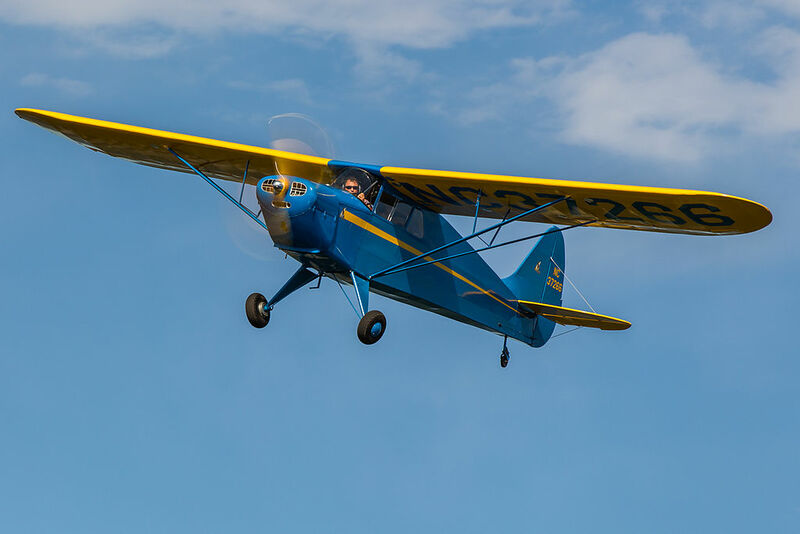 She finally understands that in order to fly a constant circle, if the airplane starts to climb, she must increase the bank angle and let off on the back pressure a little and let the nose drop but still hold the same rate of turn. This is what makes the 100 km so hard to fly. Jackie still has a touch of the flu. 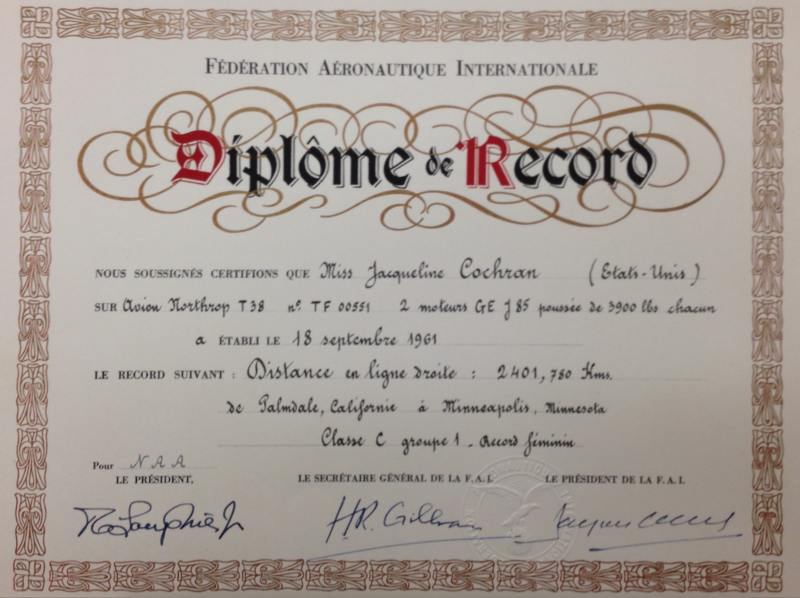 October 6: Jackie felt better today and after a delay caused by communication trouble, she flew one of the most perfect runs that has ever been flown on the 100 km course. She learned her lesson well. The record speed was 784 mph. She held 1/4 mile outside the course the entire trip. I was very pleased to watch the reaction of the timers and radar people. I think they expected another 10 or 15 trips like the F-105 tricks. She made one hell of a good flight. 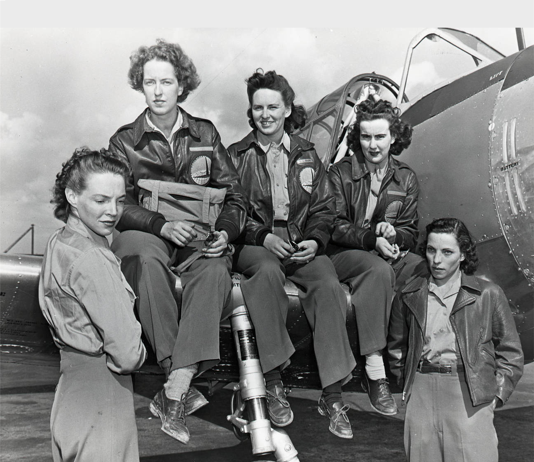 — Brigadier General Charles E. Yeager, U.S. Air Force, quoted in Jackie Cochran: An Autobiography, by Jacqueline Cochran and Maryann Bucknum Brinley, Bantam Books, New York, 1987, Pages 306–307. 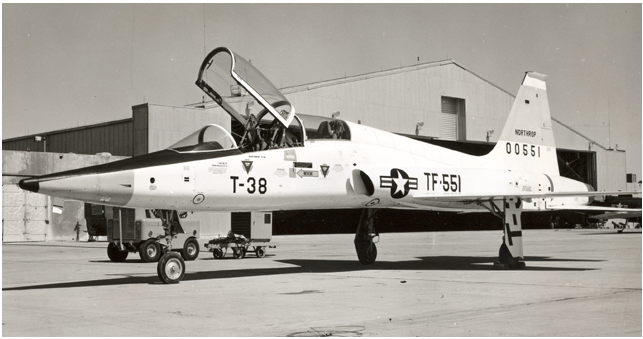 The Northrop T-38A Talon is a two-place, twin-engine jet trainer capable of supersonic speed. It is 46 feet, 4 inches (14.122 meters) long with a wingspan of 25 feet, 3 inches (7.696 meters) and overall height of 12 feet, 10 inches (3.912 meters). The trainer’s empty weight is 7,200 pounds (3,266 kilograms) and the maximum takeoff weight is 12,093 pounds (5,485 kilograms). 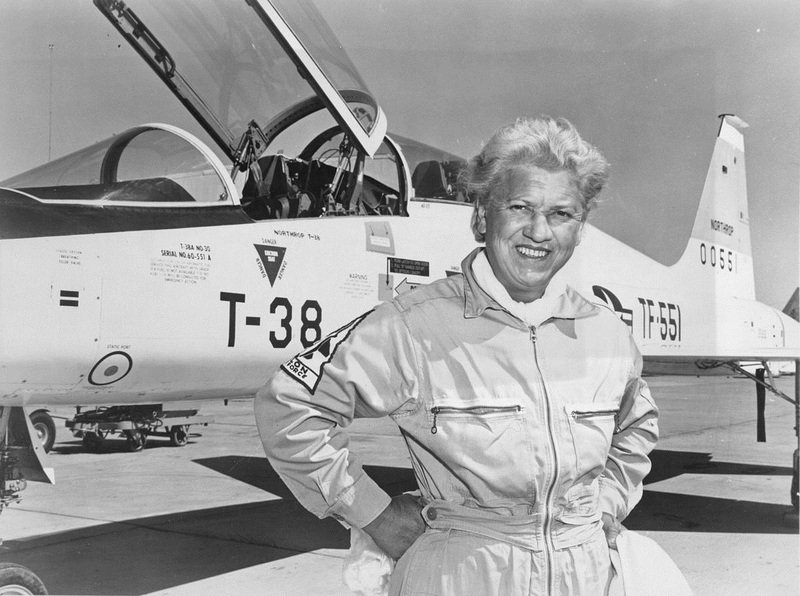 Jackie Cochran’s record-setting T-38 is in the collection of the Smithsonian Institution, National Air and Space Museum. 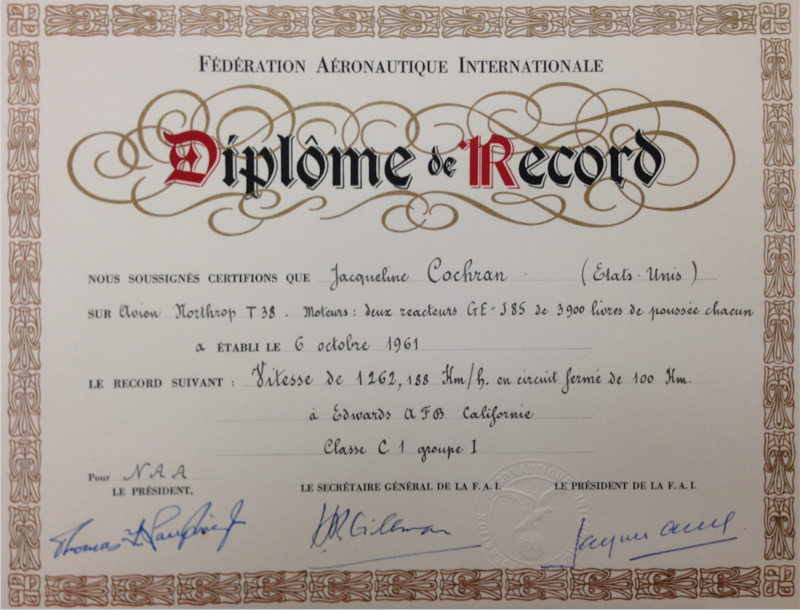 September 18: Jackie took off from Palmdale at 10:00 am for attempt to set records from points to points. 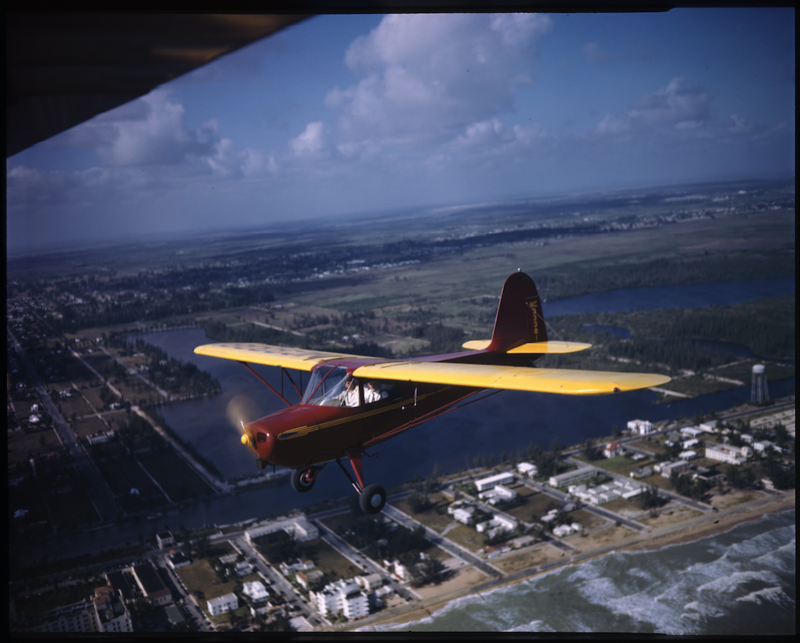 I took off from Edwards with 275-gallon [1,041 liter] drop tanks. 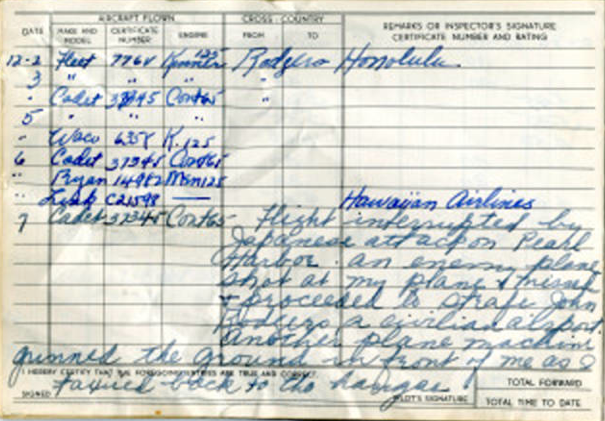 During climb Jackie reported rough engine and poor performance. Also the fuel flow was inoperative. Jackie returned to the field where I finally found her takeoff flaps were still down. Also her navigation lights and beacon were on. I was rather disappointed. She’s a little cocky in the airplane. She landed back there at Palmdale with 1500 pounds [680 kilograms] of fuel in each side and made a good heavy-weight landing. The aircraft refueled and another takeoff was made at 12:30 pm. Everything went smooth this flight. We ran into clouds at the edge of Utah which lasted until Cheyenne, Wyo. Clear the rest of the way. Jackie landed with 250 pounds of fuel in each side. Made a beautiful landing and turned off after a 4000 foot [1,220 meters] ground roll. Bob White returned the F-100 to Edwards. — Brigadier General Charles Elwood (“Chuck”) Yeager, U.S. Air Force, quoted in Jackie Cochran: An Autobiography, by Jacqueline Cochran and Maryann Bucknum Brinley, Bantam Books, New York, 1987, Pages 306. 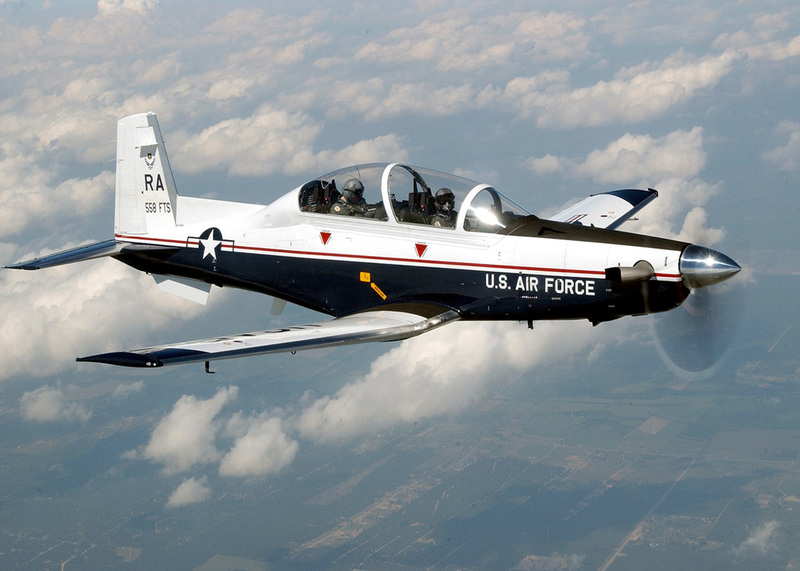 23 May 2000: The United States Air Force received its first Beechcraft T-6A Texan II primary trainer at Randolph Air Force Base, San Antonio Texas. It is a militarized version of the Pilatus PC-9. The cockpit has a full digital “glass cockpit” instrument panel and is equipped with ejection seats for the student and instructor. 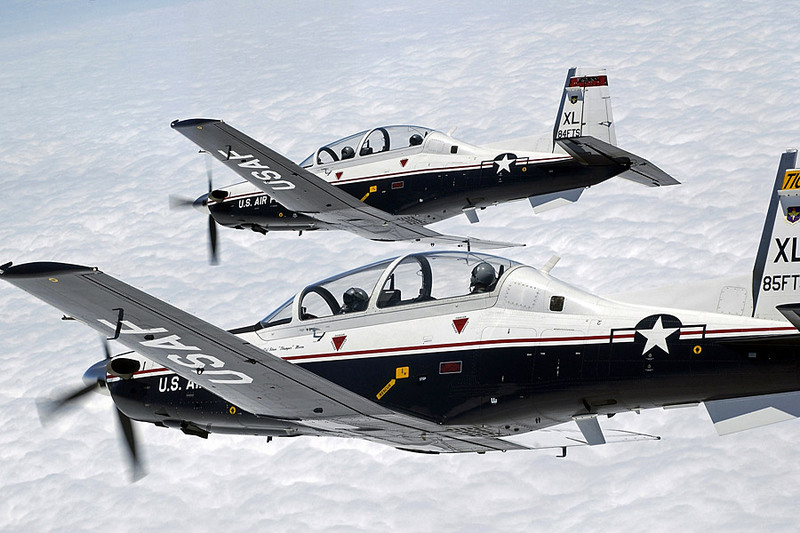 The Texan II is named after the World War II-era North American Aviation AT-6 Texan, which was the advanced trainer used by the United States military from 1940 to 1955. 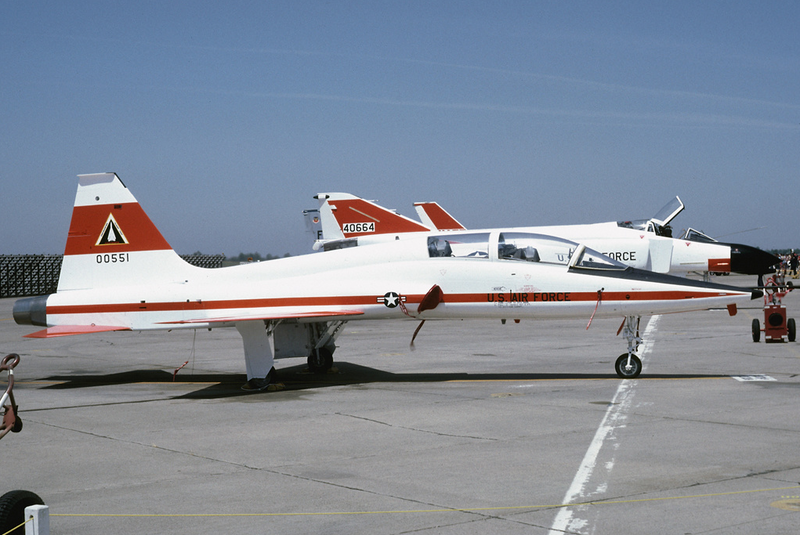 The T-6A is used as a primary trainer by both the U.S. Air Force and the U.S. Navy. The Texan II is a two-place, single engine low-wing monoplane with retractable tricycle landing gear. It is 33 feet, 4 inches (10.160 meters) long with a wingspan of 33 feet, 5 inches (10.185 meters) and height of 10 feet, 8 inches (3.251 meters). It has an empty weight of 4,707 pounds (2,135 kilograms), gross weight of 6,300 pounds (2,858 kilograms) and maximum takeoff weight of 6,500 pounds (2,948 kilograms). The airplane is powered by a Pratt & Whitney Canada PT6A-68 turboprop engine which produces 1,100 shaft horsepower and drives a 4-bladed Hartzell propeller. The Texan II has a cruise speed of 320 miles per hour (515 kilometers per hour), service ceiling of 31,000 feet (9,449 meters) and range of 1,036 miles (1,667 kilometers).